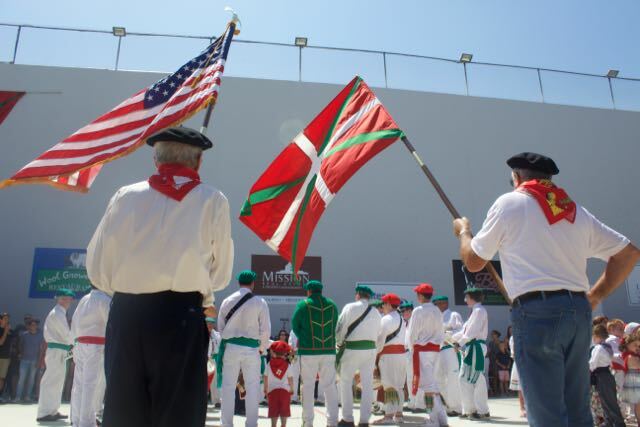 The Basque and U.S. flags fly during the Star Spangled Banner. 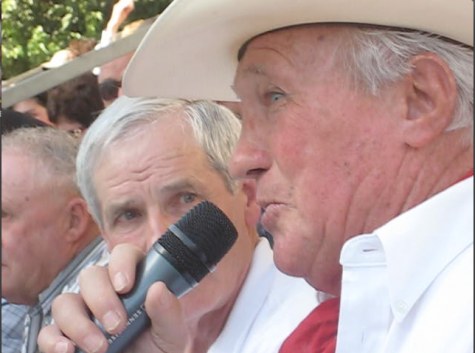 Filed under Bakersfield, Culture, Music, U.S. Communities, Washington D.C. 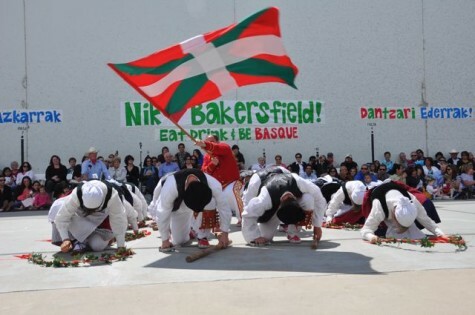 The Kern County Basque Club hosts the largest Basque festival in California, and they know how to do things right. 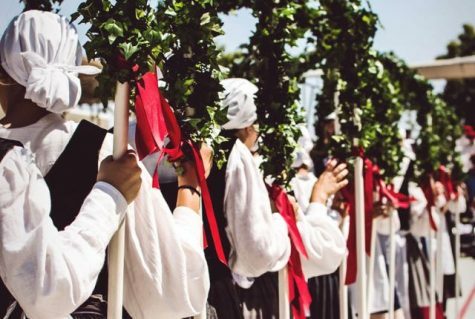 The barbecue lamb lunch is delicious, the handball games, played by professionals invited from the Basque Country, are top notch, and the folk dances performed by the state’s biggest Basque dance group are colorful and well executed. 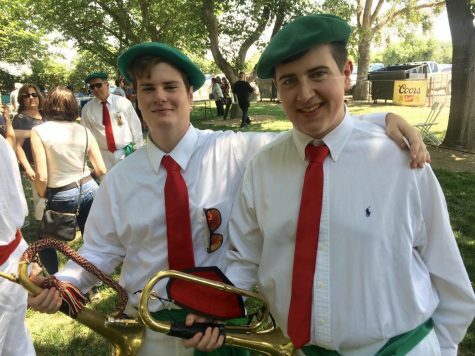 A highlight at this year’s festival was a special performance by the Bakersfield Klika – the drum and bugle corps that is a staple at California’s Basque picnics. 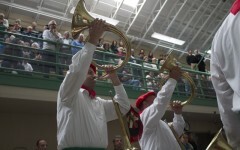 They played a series of drum marches in tribute to the late Henri Daramy, a longtime klika musician. “He was our drummer,” said Curutchague. 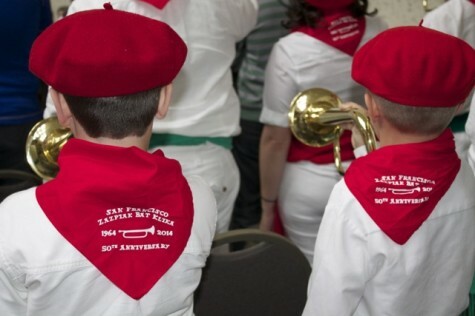 “He taught us all our drum marches.” The purpose of the drum march — tamborra martxa, in Basque — according to Curutchague, is to give the buglers a break. 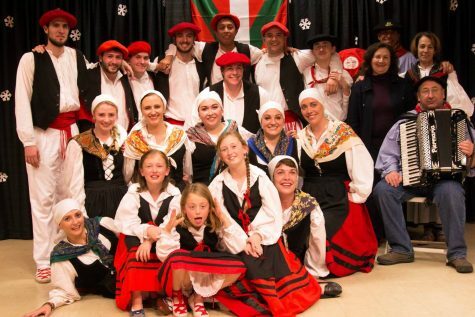 Bakersfield’s klika has 30 to 35 members, and they play 10 to 12 times a year, at the Christmas mass, at Easter, at the festival, as well as at personal celebrations. They recently played at Daramy’s funeral. 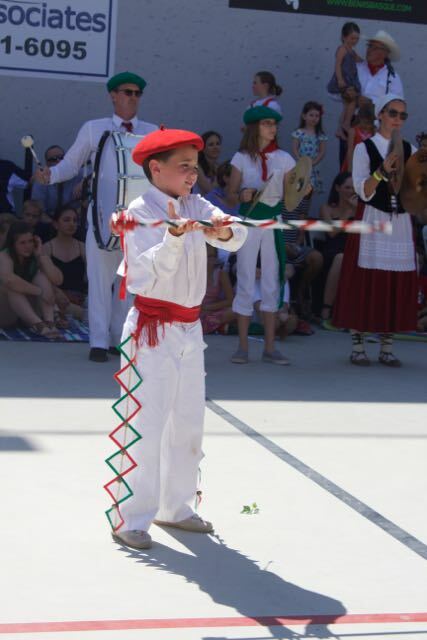 The klika includes bugles, drums, cymbals and makilariak — 7-year-old Cristian Camou, twirling the baton next to his dad, Dominique Camou, delighted the crowd. 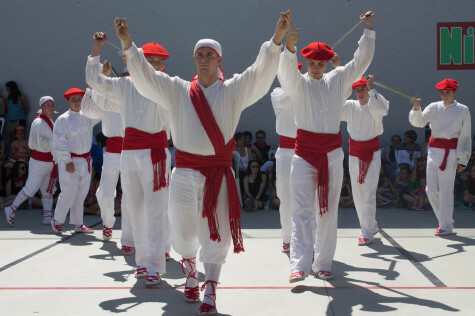 The klika developed in Iparralde (the French Basque side), where many Basque men were recruited to play the drum or bugle while they did their service in the French army. 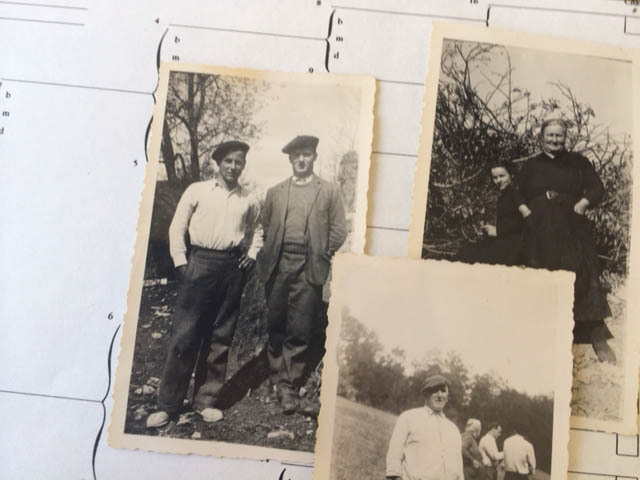 Afterward, they went home and started village klikas. 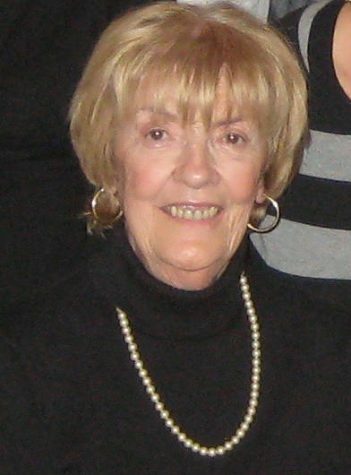 San Francisco had the first klika in the U.S., but Bakersfield and Chino followed later. 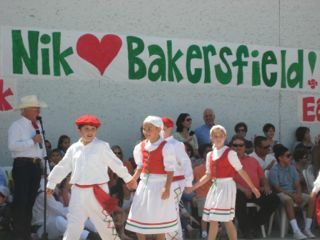 While San Francisco’s klika was once the biggest, it has now been been surpassed by Bakersfield’s, and klika musicians from other communities often join in at the Kern County Basque Festival. Curutchague has two girls and he hopes they will eventually consider playing in the klika. 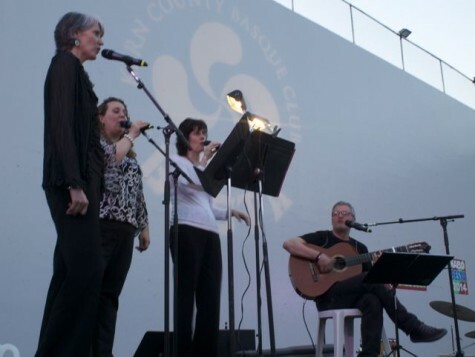 The klika currently rehearses at the Kern County Basque Club on Tuesday evenings, even thought the club’s website lists the practices on Sunday mornings, and anyone is welcome.